At this time I am required to give a fond farewell to the Philips Saeco Vienna. If you have arrived at this page searching for the Saeco Vienna, please make note that although you may be able to find a used Vienna somewhere, that particular model of espresso machine has officially been retired by Saeco and is no longer available as a new purchase. View additional details at Amazon! I would, however, like to give a warm welcome to the new counterpart of the retired Saeco Vienna, the PicoBaristo super-automatic espresso machine, also made by Saeco. If it is a high-end super-automatic machine you want or need, the PicoBaristo is definitely a great contender! Although the price of this machine is much higher than many other machines, you will easily be able to make it worth that price if you find yourself currently stopping by your local Starbucks on a daily basis, as those daily coffee shop lattes can add up very quickly at $5 or $6 a pop! This home espresso maker features the same much-loved “bean-to-cup” capability that the Vienna provided. Bean-to-cup is a feature that allows you to add your whole, unground coffee beans into the machine, prior to grinding them. The beans are then ground as part of the brewing process after you have added water to the machine. 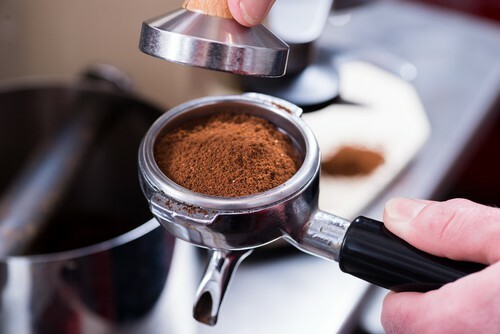 In other words, with this machine, you don’t need a separate grinder taking up more room on your counter space, as the bean hopper (holder) is located within the machine itself. This bean-to-cup feature allows for a more streamlined espresso brewing process. I have provided many details (both good and bad) regarding the PicoBaristo below, which are based on my actual use of this machine. However, if you’re in a hurry or just don’t want to take time to weed through the info. below, you can view additional details at Amazon by clicking here. Capability of making latte, cappuccino, and machiatto beverages. Grinders that are 100% ceramic, which I absolutely loved! Metal and even stainless-steel grinders heat up and can cause the coffee to taste burnt, but you won’t have this happen with ceramic grinders, which stay cool at all times. Programmable features for brew length and strength, with 10 different grinder settings. Hot water option allows for making other beverages such as tea or hot cocoa. The warranty for a full year was much appreciated. After a somewhat short learning curve, I found that I was able to brew up some awesome beverages. Stainless-steel exterior looks great in any kitchen. Maintenance of this machine is much easier than most other machines…the drip tray and the bin for used grounds both slide out easily. There is a filter that comes with this machine that lets the user avoid descaling for approximately 5,000 uses of the machine. Additionally, these filters can be purchased separately at about $25 each, which is much better than having to go through a descaling process every month or two, although you will need to descale after about 5,000 uses. A milk carafe, scoop, and coffee bean holder are included with the machine. Removable brew group allows for easy clean-up, and is even dishwasher safe. The boiler in this machine heats very quickly…almost instantaneously. 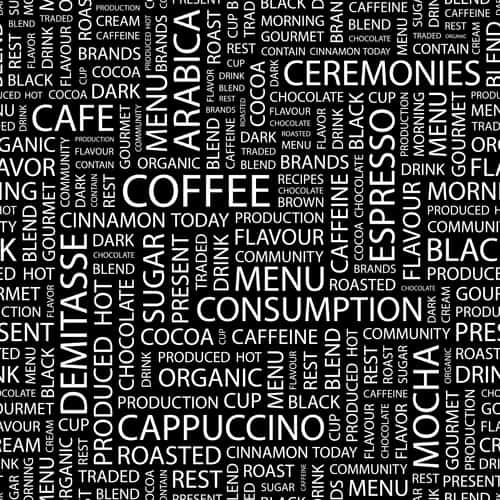 Once you have figured out your preferred brew settings, the machine remembers them for you. When I first used the brand-new machine, there was a “plasticy” taste (a taste similar to plastic) that was integrated into my finished brews. This plasticy taste went away after about two weeks. There is no option available for hooking this machine up to a water line, and requires manual filling of the reservoir. Although this machine does have a stainless-steel exterior, many interior parts are made of plastic (other than the ceramic grinders). Out of the box, there is some set-up required. Consider the Saeco PicoBaristo super-automatic espresso machine if you are searching for one of the top-rated super-automatic home espresso machines. This machine is a great value for the price, as it is very super-automatic. If you are searching for a super-automatic home espresso machine, definitely add this to the top of your list. Your travels to the local coffee shop can be a distant memory when you use this one. Super-Automatic, Automatic, or Semi-Automatic class? Programmable features that come with this machine ensure that once you have figured out your preferred settings, they will be remembered with just the push of a button. Because it is a super-automatic machine, it is easy to use once you have learned how the controls work. As with all super-automatic home espresso makers, your boundaries are boundless when it comes to choosing which home espresso recipe to serve, to either yourself or your guests, including espressos, mochas, macchiatos, and more. The Vienna Saeco does not utilize capsules or pods. It instead offers a built-in conical burr grinder that can be set for fine, coarse, or in between — your choice! If you are, in fact, searching for a machine that uses today’s popular pods/capsules, such as those used with all of the Nespresso machines, consider either the Nespresso Citiz Bundle or the Nespresso Pixie. There are even machines available that utilize pre-ground coffee and/or capsules. If this is what you think you might be searching for, the Dedica by DeLonghi would be a great consideration, as this machine gives you your choice of using grounds or pods. Yes, it does. The built-in conical burr grinder for this machine has different settings for coarse and fine grinding, allowing you to go from bean to coffee in no time, and with no fuss or mess. The frother that is part of this machine gives you rich, yet light froth with every cup brewed. One drawback found with this one is that it does not have a cup warmer. If you have your heart set on an espresso machine with a cup warmer, you can check out either the Breville BES870XL espresso machine or the DeLonghi ESAM 3300, which both have cup warmers. This home espresso maker comes in silver and graphite. The casing is made of plastic for this one. If it is a stainless steel exterior (and interior) you are searching for, consider the DeLonghi Dedica which is, in fact, stainless steel inside and out, and is rated one of the top home espresso machines available. This machine features a stainless-steel boiler. No, this machine does not have dual boilers. This machine, like most of them, is somewhat noisy, particularly when the machine is tamping the coffee grounds (extracting water through the grounds). With this machine comes 15 bars of pump pressure. The Vienna has a 57-ounce water tank, which is one of the larger water tanks available on home espresso machines. The water reservoir is on the back of the machine and is refillable by either removing it from the machine or filling it from the top. With the removable drip tray, dreg drawer, and 57-ounce water tank, both the use and cleaning are very easy. The many detachable components of this machine ensure very simple cleaning and maintenance. This machine has what is called a removable “brew group,” which means you can also remove the interior parts of the machine, such as the boiler, for much easier cleaning. This machine weighs 21 pounds. Measures 14 by 15 by 15-1/2 inches. Shipping is free if you are an Amazon Prime Member. A 1-year limited warranty is included with this machine. This machine is powered with 1,250 watts. The milk frother was commented on as being absolutely wonderful, and producing very rich, creamy froth. This machine was also noted by customers to have excellent extraction ability. Inability to handle large quantities of coffee beans quickly. Water tank needs to be filled up about every three days if you are a person who makes two beverages per day. There is no indicator to let you know when the spent grounds container is full. Therefore, you will need to keep an eye on this.